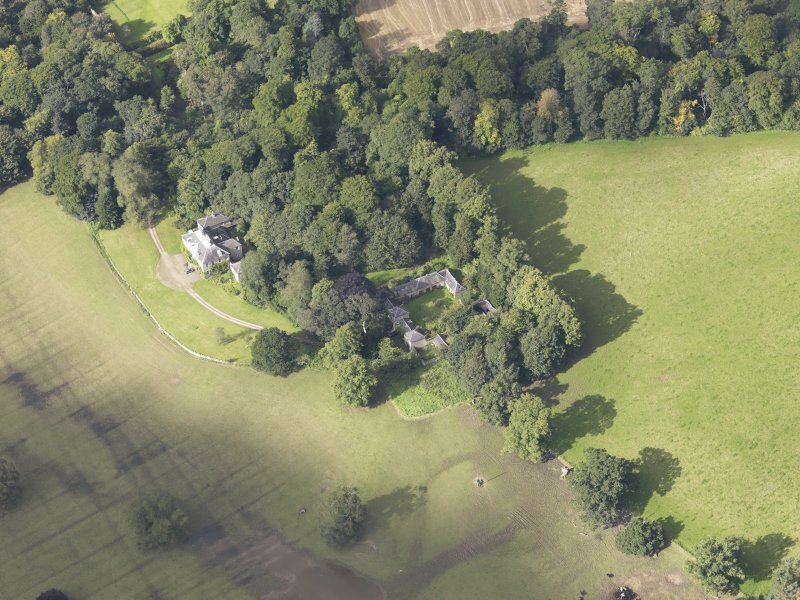 Oblique aerial view of Chesters House, taken from the SW.
Oblique aerial view of Chesters House, taken from the WSW. 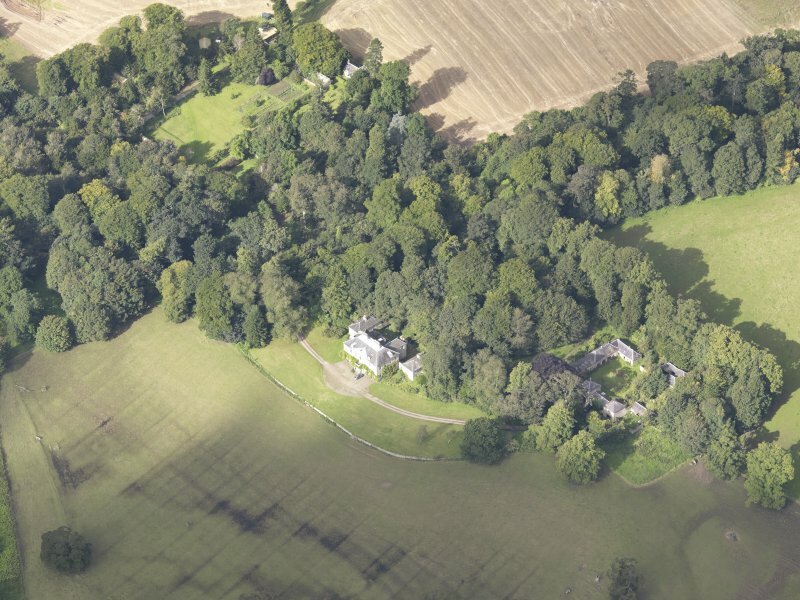 Oblique aerial view of Chesters House, taken from the NW. 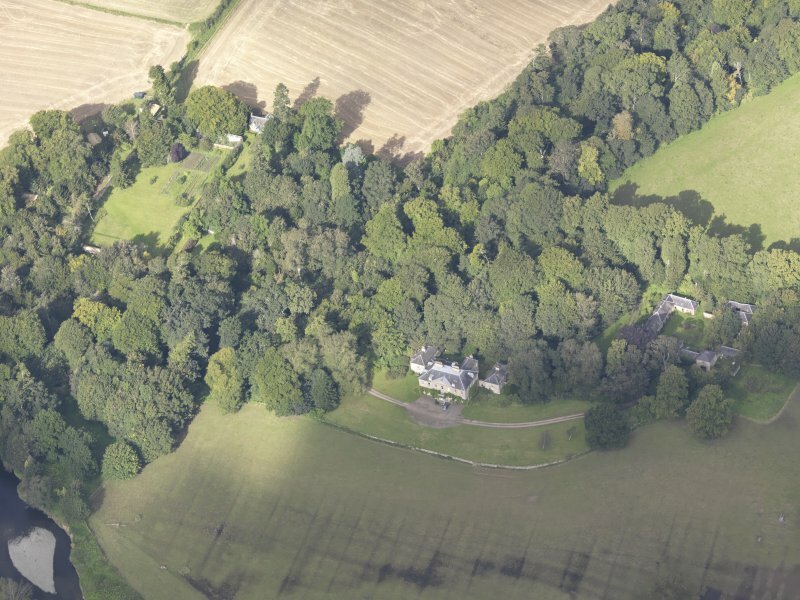 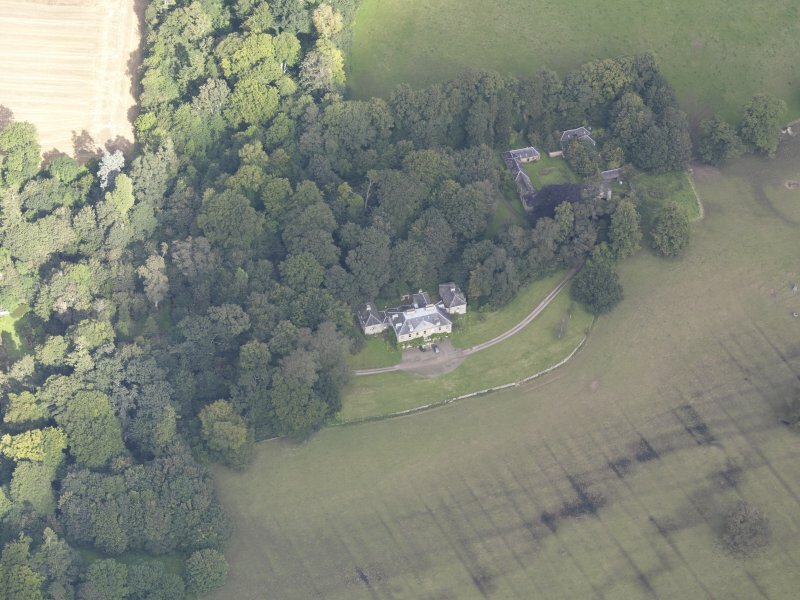 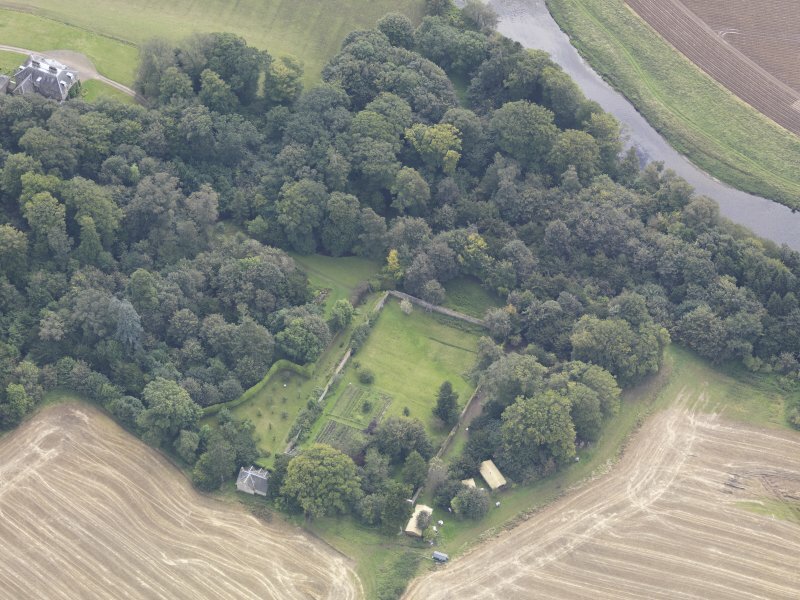 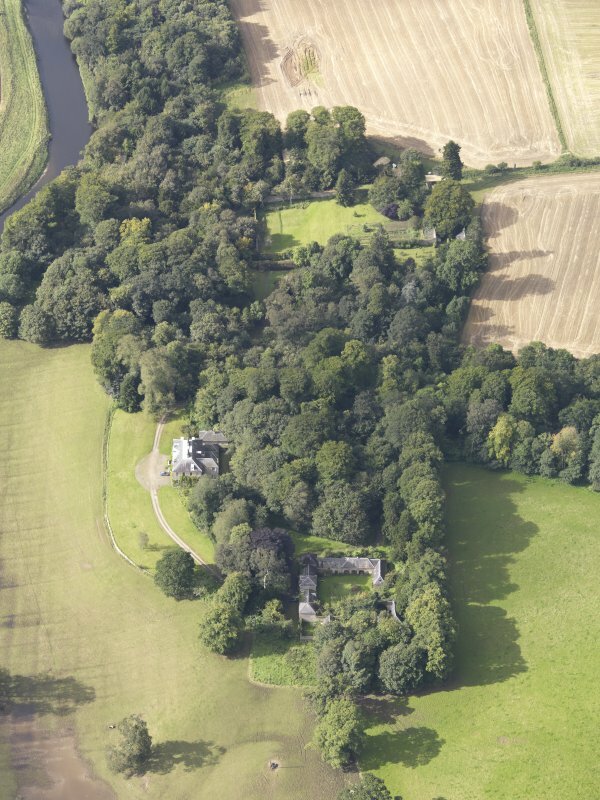 Oblique aerial view of Chesters House, taken from the ESE. 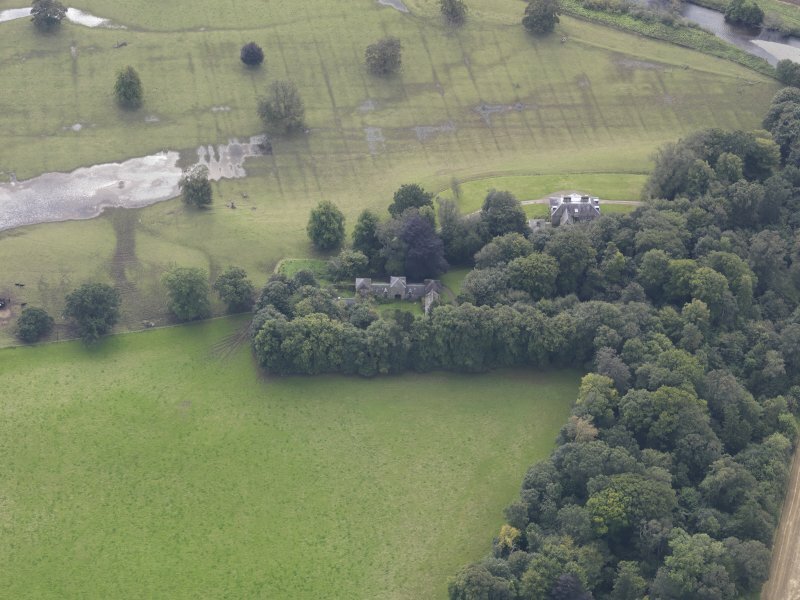 Oblique aerial view of Chesters House, taken from the W.
Oblique aerial view of Chesters House, taken from the ENE. 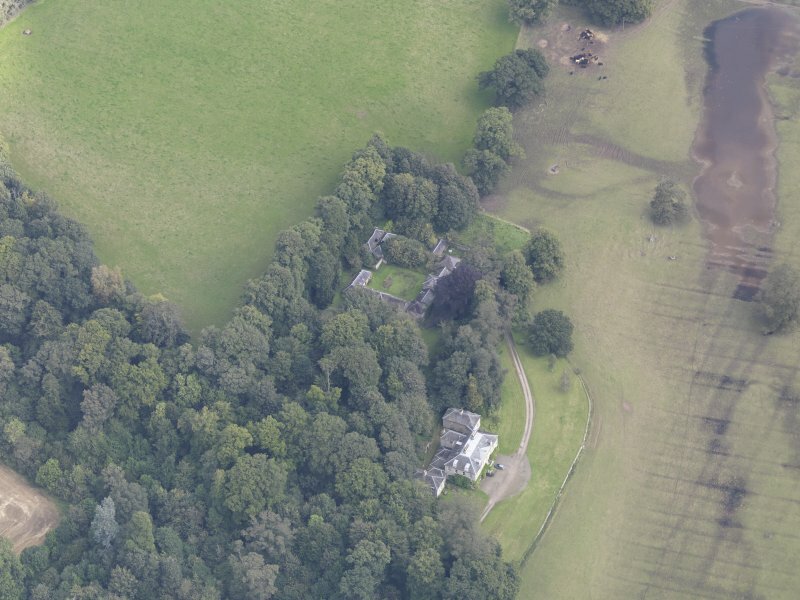 Oblique aerial view of Chesters House, taken from the E.
Oblique aerial view of Chesters House, taken from the SE. 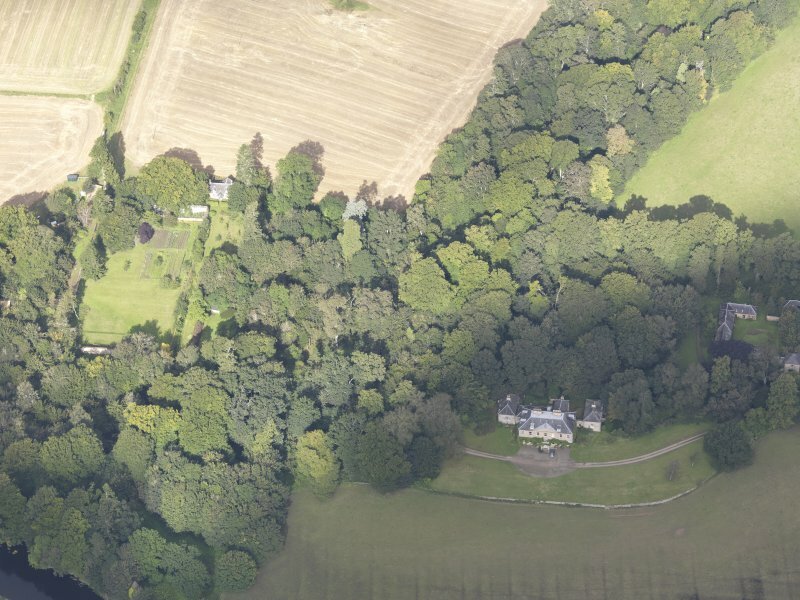 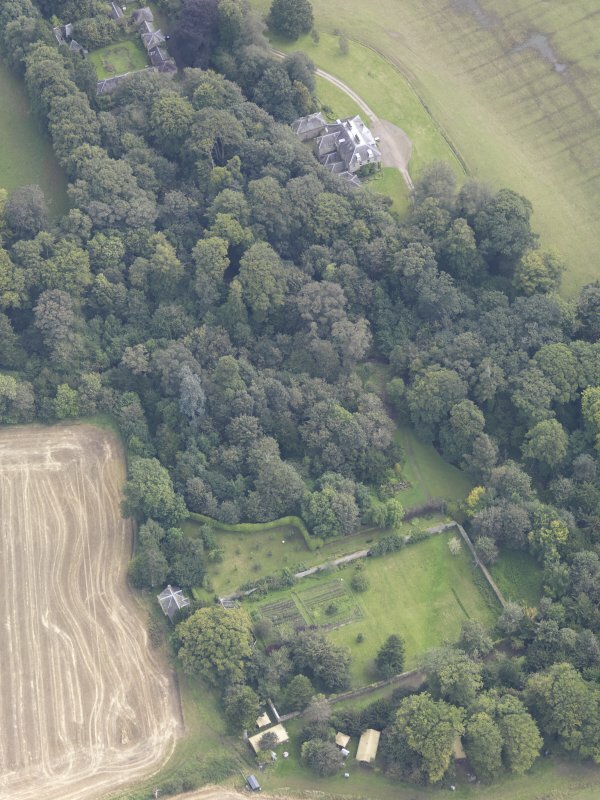 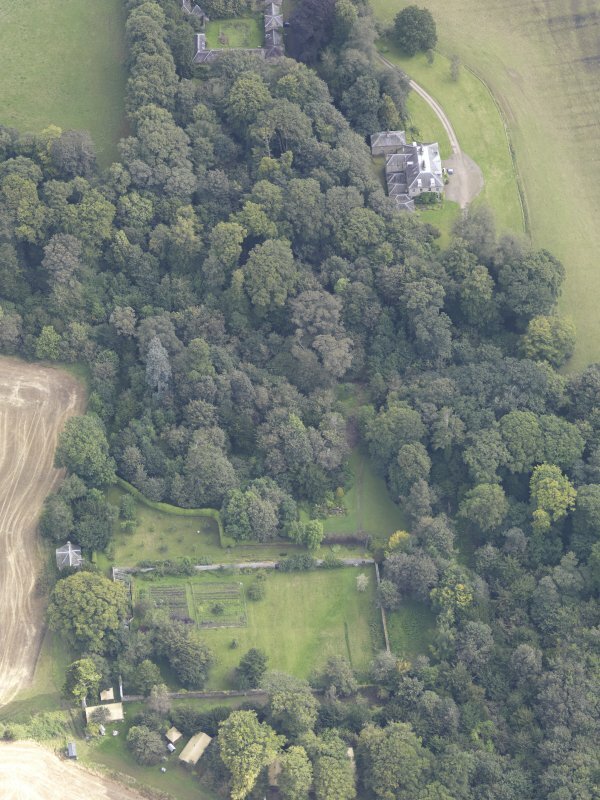 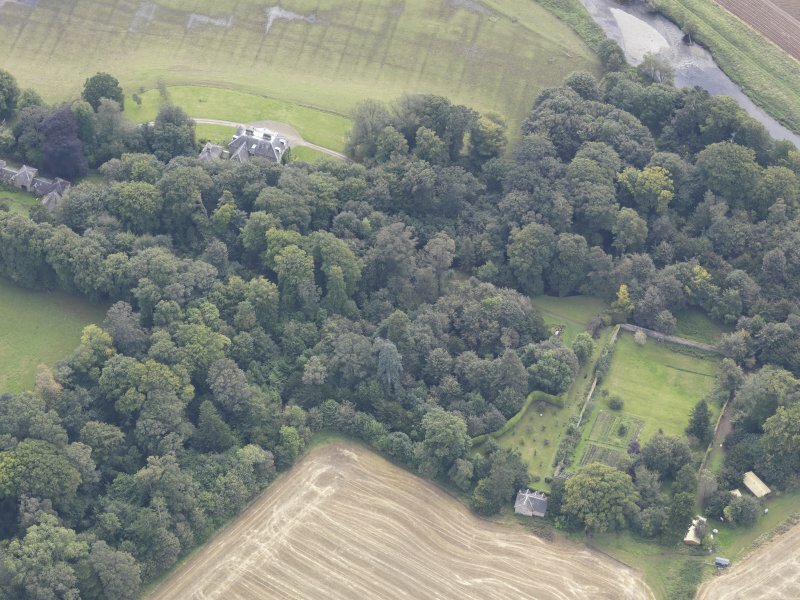 Oblique aerial view of Chesters House, taken from the S.
Oblique aerial view of Chesters House, taken from the SSE. 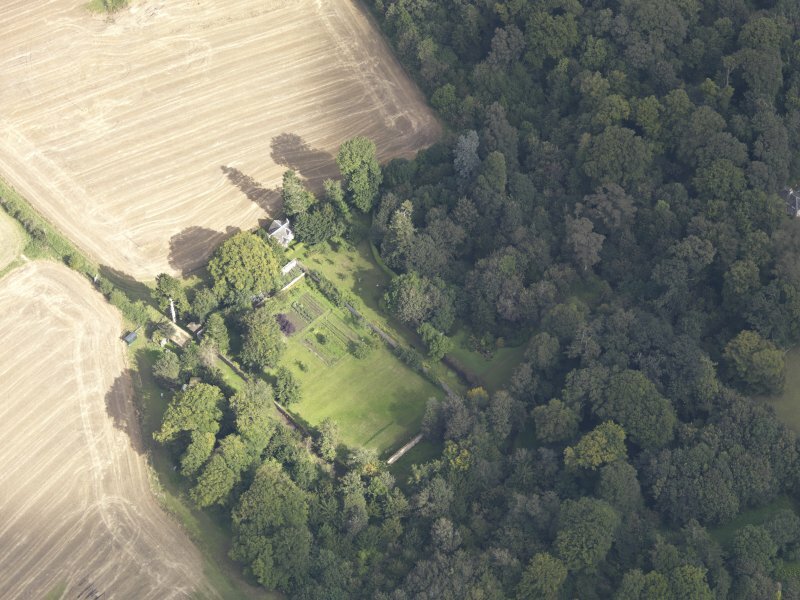 Oblique aerial view of Chesters House, taken from the NNW. 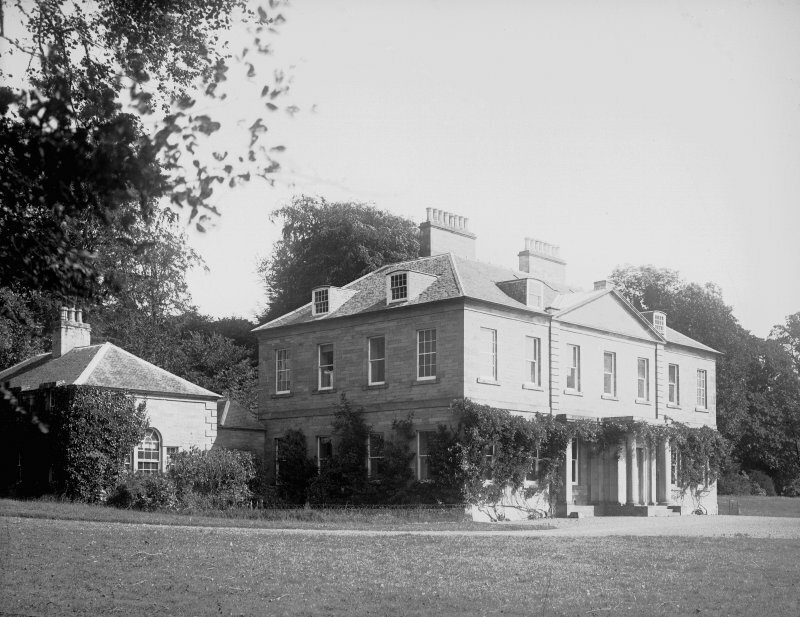 Consists of a centre pedimented block of two storeys with flanking pavilions on either side connected by a passage. 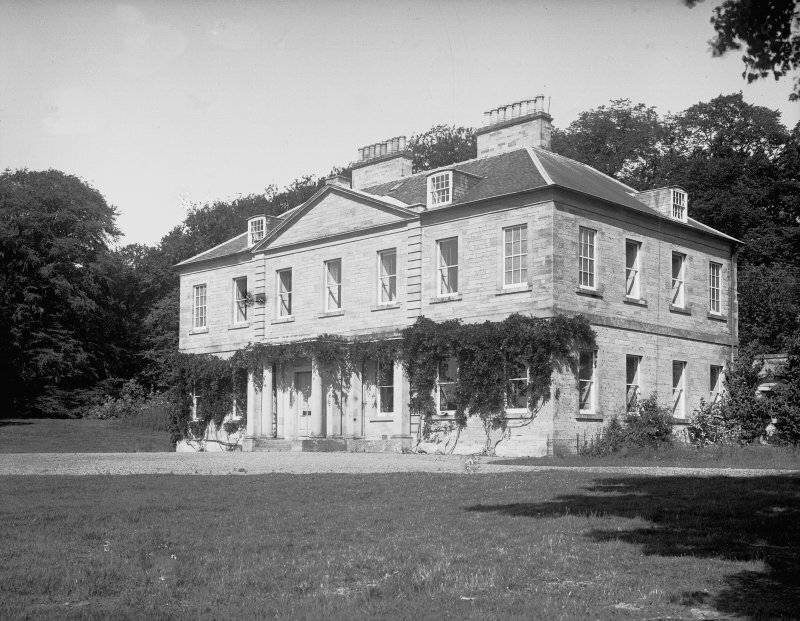 Built by Thomas Ogilvie, who purchased the estate in 1787.